After the success of the Snow Cone Truck at C’s birthday party last week, I decided to take the snow cones to the next level for a girl’s night last Friday! 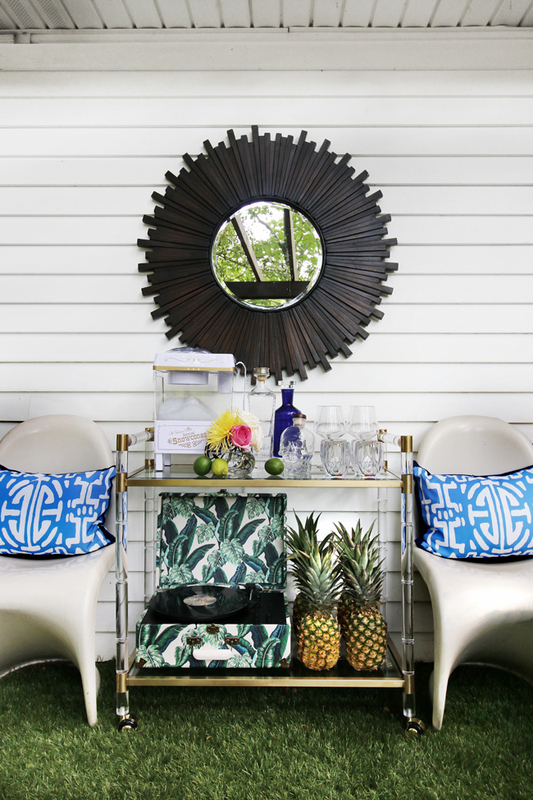 Which was perfect timing as Wayfair wanted to see how I would style a Bar Cart for an outdoor event. 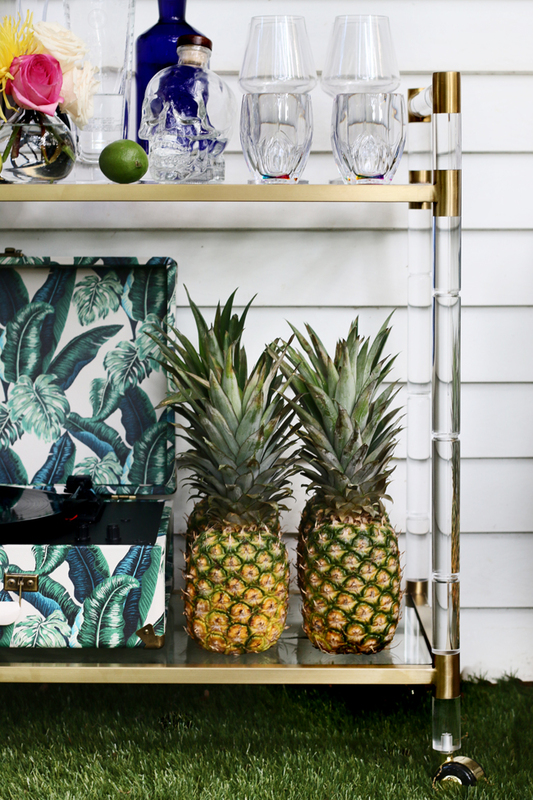 And you all know how I love a good bar cart! Wanting to make the Bar Cart the focus, I choose to bring an indoor version out for the night. It made the area feel a little more special. And come on… when have I ever said no to including brass and lucite into any space?! 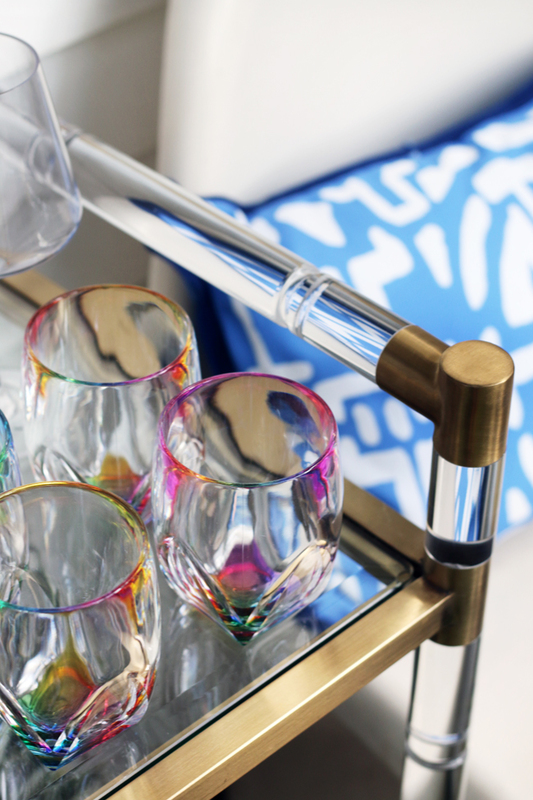 This Wayfair Bar Cart is a stunner! 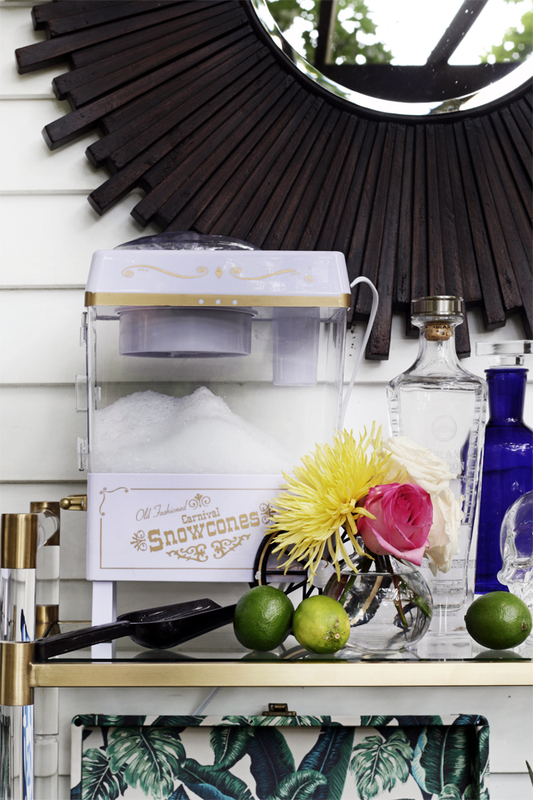 Rather than topping it with the standard Ice Bucket, I went for a little whimsy by adding this Old Fashioned Snow Cone Machine. I have seen similar ones in red and blue before, but white and gold… consider me sold. It is a little machine, but this thing will crank out some shaved ice quick. We had enough for about eight servings in less than two minutes. Once these syrups were ready, and your ice is shaved, fill your cups or cones if you are feeling nostalgic and simply pour the syrup over the top. Easy. Tasty. And lots of fun!! 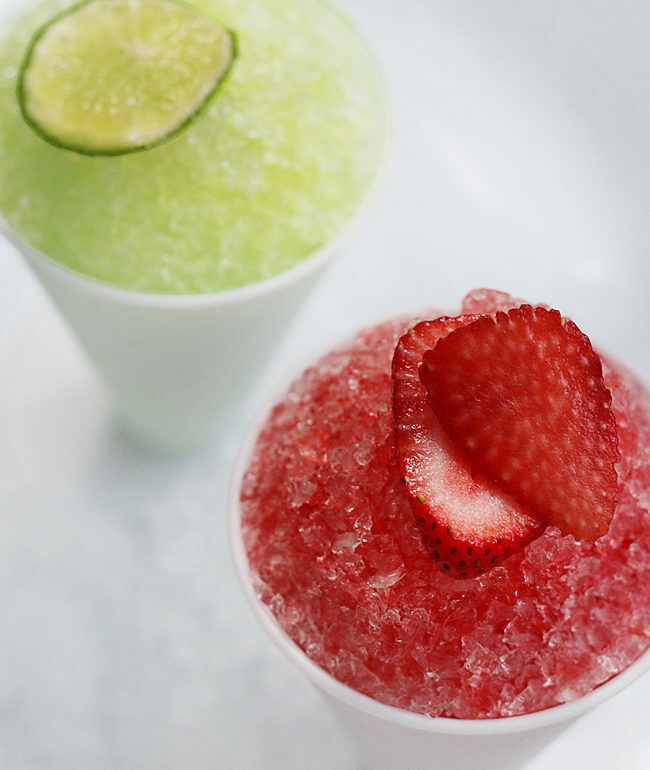 Loving the idea of the rainbow flavors in traditional snow cones, remember adding every flavor possible as a kid?! I included these Acrylic Rainbow Tumblers from Wayfair as well. 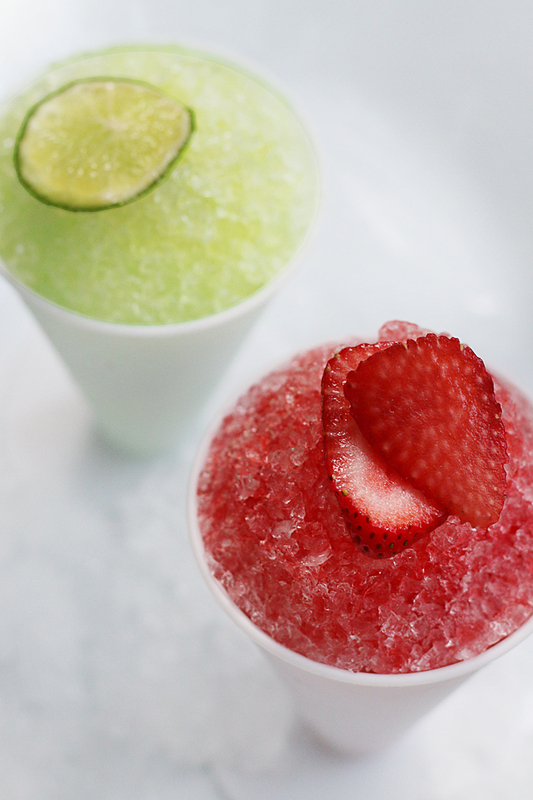 They were perfect for putting our Lushies in as the cones got a little melty and messy. I prefer mine in a cup with a straw, please! With only two weeks left of summer here in Atlanta, (crazy, I know!!) It was so much fun having a girls night with these yummy cocktails. One last hurrah before school starts!